One of the things we learned during our Nth Screen REACT project in 2013 was the joy of making multi-screen films together as well as playing them. 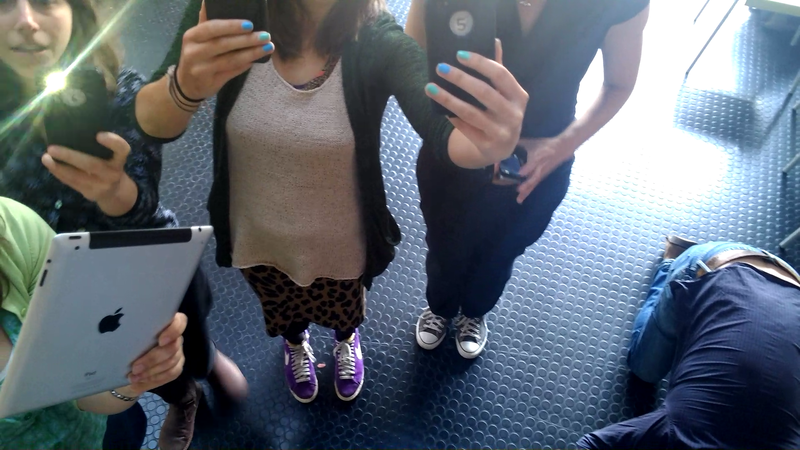 Nth Camera was our REACT-funded follow-on project — Tim Kindberg, Charlotte Crofts and now Mandy Rose as well, with Jess Linington as RA — which ran Feb-Jul 2014. This is an exciting new version of the app, for combining mobile phones and tablets so that groups can spontaneously shoot multi-viewpoint videos for synchronized playback. The team created a working prototype, ran workshops with user groups, and developed business and branding options. For more information, read A Human Kaeidoscope: developing the Nth Screen app.